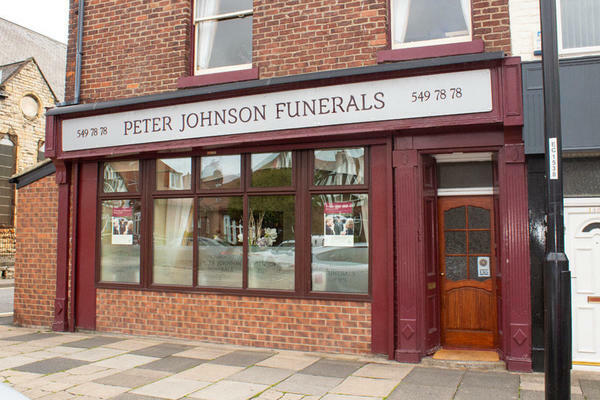 Peter Johnson Funeral Directors are funeral professionals serving Sunderland and the surrounding areas. We provide a bespoke funeral service to all of the families in our care, aimed at giving your loved one a dignified, respectful farewell befitting of them. We believe that your wellbeing is paramount. For this reason, our funeral home is tastefully decorated in neutral colours. We also have air-conditioning, to make your visit as comfortable and welcoming as possible. You can reach us via telephone 24 hours a day. We are here to support and guide you during your time of need, and when you need us most, we will be here to help. We have limited parking at the funeral home, shared with local residents. You can obtain use of a permit from reception during visits. We are near Monkwearmouth Hospital and Seaburn Metro. Our staff are available 24 hours a day on 0191 549 7878 if you require our services outside of these hours.